What is the difference between a vegan diet and a vegan lifestyle? Well if you are Beyoncé, Jay Z and Jennifer Lopez it is wearing fur or the skin of any dead animal for that matter. To them, if you are on a “vegan diet” there is absolutely no contradiction in wearing real fur. An authentic vegan adopts a lifestyle that does not exploit other animals in any way. Alternatives to animal products are found in every situation. A vegan lifestyle is a profound and compassionate philosophy on life. In December 2013 Beyoncé and her husband Jay Z put this diet on the menu. They went on a plant-based diet for 22 days ~ not out of compassion for other species and the planet but in pursuit of a ‘perfect body’. The latest celebrity to try this diet is Jennifer Lopez. These celebrities are renowned for their love of wearing real fur ~ the more fur the better, in their narcissistic eyes. Beyoncé even had the audacity to wear a fox fur collar to a vegan restaurant. And if wearing real fur is not enough for Beyoncé, below are her custom-made sneakers, made from the skin of snakes, stingrays, crocodiles, and ostriches ~ specifically killed for this single pair of sneakers! This jacket, worn by Jay Z, is from Jigga’s clothing line, Rocawear. It is advertised as having “fake fur”. 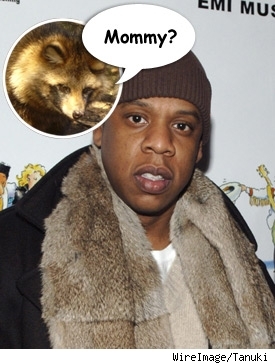 According to an investigation by the Humane Society of the United States, this ‘Hunter jacket’ on Rocawear.com contains real fur from a raccoon dog. This canine is indigenous to Asia and skinned alive for the coats. Jennifer Lopez is so disliked by anti-fur campaigners that there is a face book page named, Boycott J. Lopez, Protest Her Wearing Fur, the Skin of Murdered Animals. Sadly, I think these celebs just thrive on attention, even if it is negative. Despite the name, raccoon dogs are a different species to raccoons found in North America. Raccoon dogs are indigenous to Asia. They are related to dogs and foxes and therefore belong to the canine (wild dog) species. It is their markings, similar to raccoons, that have influenced their name. What sort of animal is the raccoon dog? ~These social animals live in pairs or small groups. Up to 16 pups can be born in one litter and in nature both parents help raise their young until they become independent. ~ In their natural environment, raccoon dogs inhabit forests and woodlands nearby water. ~ As raccoon dogs frequent water habitats, their diet is primarily frogs, fish, rodents, small birds, eggs, insects and spiders. ~ Sadly they are under threat because of the deforestation of their native woodlands and overhunting by humans for raccoon dog meat and fur. THE FARMING OF ANY ANIMAL FOR HIS/HER FUR IS INHUMANE! Certain countries protect dogs and cats but not other fur-bearing animals. Sadly, this is a speciesist approach that values the lives of certain species above others. The trade in dog and cat fur is banned in several countries. Strictly speaking racoon dogs should be protected under these laws. – The European Union agreed to ban all imports of cat and dog fur from China in June 2007 on the grounds that it is “not consistent with a proper value and respect for animal” (Elliot Morley- Parliamentary Secretary to the (then) Ministry of Agriculture, Fisheries and Food). – The Dog and Cat Fur Protection Act, 19 U.S.C. § 1308, (2000) prohibits the import, export, and sale of dog and cat fur products in the United States. – The United Kingdom Government announced its ban on importing cat and dog pelts from China in 2001, after discovering dog fur in a fur collar, obtained from a leading store in the West End. – Australia has similar laws to the EU regarding the import of items made of dog and cat fur. – China has virtually no animal protection laws and is flooding the market with “budget” fur. This fur is frequently mislabeled as “faux fur” or as fur from a different species so as to circumvent international law. In many instances this “faux fur” has been found to be cat or dog fur. The only way to be sure to avoid cat and dog fur, is to avoid all real fur products and to check faux fur carefully. Raccoon dogs suffer and die for their fur in intensive battery farming conditions in China and Finland. Raccoon dog on fur farm with the remains of a deceased mate, dead and rotting in the cage (Photograph: Animal Rights Alliance). tested and found that the “majority of the falsely advertised or mislabeled fur-trimmed jackets contained fur from Raccoon dogs”. The fur industry has a long history of misrepresentation in order to sell their product. They continue to look for loopholes, despite President Barack Obama having signed into law, H.R. 2480, the Truth in Fur Labeling Act. Still being mislabeled, falsely advertised and mislabeled is the Asian raccoon dog, which is actually a dog not a raccoon. The fur industry is still trying to pass off this dog fur under inaccurate and misleading trade names, such as “Asiatic raccoon” and “Finn raccoon”. Raccoon dogs, native to Asia, are part of the same family that includes domesticated dogs. Despite their raccoon-like faces, they are not related to that North American mammal. The raccoon dog has a decidedly tougher life than most American dogs, however; the animal is routinely isolated on Chinese fur operations in tiny metal cages before being clubbed, slammed to the ground, or skinned alive. Activists from the Swiss animal protection East International witnessed and filmed shocking footage of raccoon dogs being skinned alive in China. This is what they say. “Horrific footage reveals slow, sickening deaths of raccoon dogs.They are stunned with repeated blows to the head or swung against the ground. Skinning begins with a knife at the rear of the belly whilst the animal is hung up-side-down by its hind legs from a hook. A significant number of animals remain fully conscious during this process. Supremely helpless, they struggle and try to fight back to the very end. Even after their skin has been stripped off breathing, heart beat, directional body and eyelid movements were evident for 5 to 10 minutes”. This is their very graphic video. Please take a big breath and watch this disturbing video. It is the reason we have to stop the fur industry. It was also found that racoon dogs were skinned alive to make fake Ugg boots! Because fur’s country of origin can’t be traced, everyone who wears fur shares the blame for the horrific conditions on Chinese fur farms. 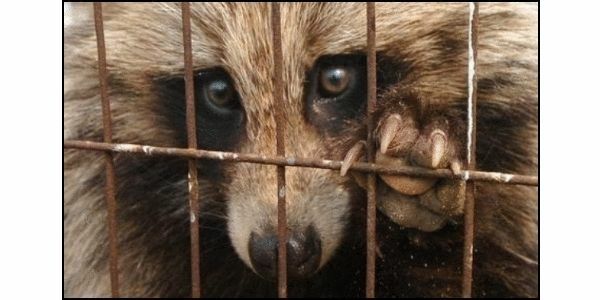 Please let’s do all we can to end the fur industry for ALL sentient beings and not just the raccoon dog. In a previous post titled, MINK EYELASH EXTENSIONS: Drop dead gorgeous? I wrote about a recent trend of people wearing Mink eyelash extensions i.e. eyelash extensions made from real Mink hair. This is what a consumer of Mink eyelashes had to say, ‘I finally purchased Real Fur Mink Lashes and am thrilled to start using them. They are the most luxurious on the market. Very lightweight and sultry… OOOWeeee lol! (sic)’. Consumers such as this clearly do not know the cruelty that goes into making Mink eyelash extensions. IT IS FALSELY BELIEVED THAT MINK EYELASHES ARE CRUELTY FREE AND COLLECTED FROM BRUSHING LIVE MINKS. This following extremely powerful anti-fur advertisement was produced by the International Anti-Fur Coalition (IAFC), 2014. I feel deeply honoured that I was quoted, as below, in that advertisement. ” It is falsely believed that mink eyelashes are cruelty free and collected from brushing live minks, but there is absolutely no way a wild mink is going to co-operate and let anyone brush his/her coat. And even if they were alive, those same minks will be gassed or beaten to death later and skinned for their fur. All these minks come from fur-farms, where they are routinely confined to small, wire-mesh cages and kept in a battery style system. With several animals in a cage there is barely room to move. In the wild these animals are naturally solitary. Minks on fur farms will never swim or frolic. The only “dead” in “drop dead gorgeous” advertisements, are thousands of minks, and all for mindless selfish vanity! !” Emy Wilhelm, animal activist and anti- fur campaigner. — with Halevy Jane and 3 others. The International Anti-Fur Coalition is a worldwide group of organisations. Since 2006 it has been working to end the atrocities of the fur industry. Its voice is most heard through Worldwide Fur Free Friday (WFFF)~ one of the biggest international days of action in the history of animal rights organisations. On a designated day, animal rights organisations, worldwide, gather to educate the public about the cruelty inherent in the fur trade. Together these groups campaign for the “dissolution of the despicable fur trade” (Jane Halevy – International Anti-Fur Coalition). Thank you International Anti-Fur Coalition for everything that you do for the innocent creatures murdered in the name of fur fashion! Black symbolised grief. Red symbolised blood – senselessly spilled. Please take time to listen to the words of this short video on our anti-fur protest on Sunday. Beauty Without Cruelty staged an anti fur protest outside the Hyde Park shopping mall, Johannesburg, South Africa to draw attention to the unspeakable cruelty meted out to fur animals, mainly in China, but also in the rest of the world. The fur trade is by far the cruelest trade on earth, especially as it is purely for status, vanity and fashion. Any human with a vestige of humanity, empathy and conscience would condemn the trade, but it will only change when each one of us makes our condemnation known (Beauty Without Cruelty- 13 Jul 2014). This guy, in support of our anti-fur protest, made me smile ❤ PLEASE DON’T SUPPORT THE FUR TRADE IN ANY WAY! PROTEST AGAINST THE FUR TRADE. I WILL BE AT THIS ANTI-FUR PROTEST ~ SUNDAY 13th July! Temperatures have dropped below 0 degrees C here in South Africa ~ a national crisis. Unfortunately this gives the heartless South African ‘mink and manure’ set a reason to don their furs ~ if they dare! 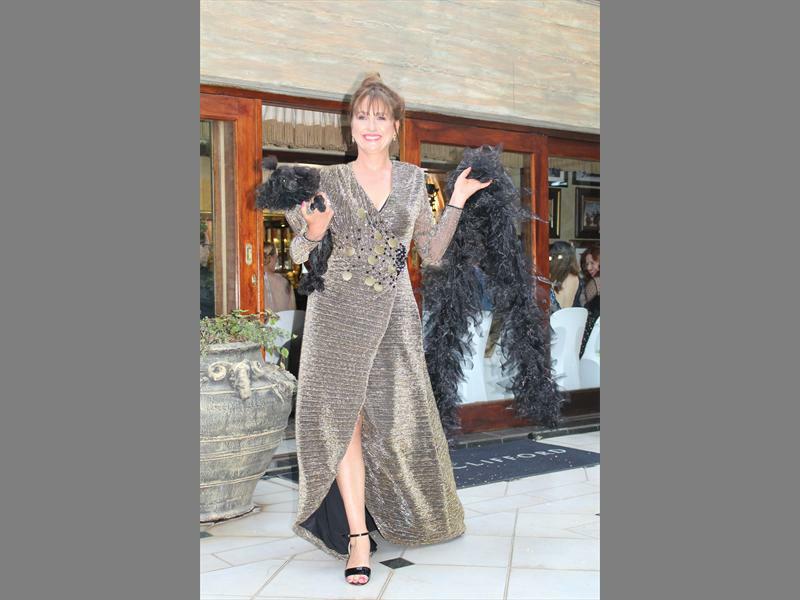 In May 2014, compassionate South African celebrities and designers joined forces with Fur Free SA and participated in the first South African anti-fur fashion show. This was televised on Top Billing ~ an upmarket South African lifestyle program. The reality is that celebs are taken more seriously than the masses, so it is fantastic that they have made an anti-fur statement. According to Fur Free SA, “fur animals such as fox, raccoon, mink and rabbit are raised for their fur and spend their entire lives in small, barren, filthy cages with no sanitation”. To reduce costs and preserve the fur, slaughter methods are merciless and agonising for these creatures. Real fur is not only used for coats and blankets but also for accessories such as hats and gloves. Fake fur garments may contain real fur. Fur TRIM may be found on garments, collars, shoes, toys etc. Animal fur is often mislabeled as faux fur, or marketed under names such as “Chat de Chine”. Authentic fur may be dyed with unnatural colours and sheared, giving it the appearance of faux fur. Millions of cats and dogs are also skinned for their fur, mainly in countries with inadequate animal protection laws.To emphasise this point some celebs even brought their dogs along. Dex Kotze – conservationist and anti-Rhino poaching activist. ~ Jewelry designer, Jenna Clifford, held the event at her studio. 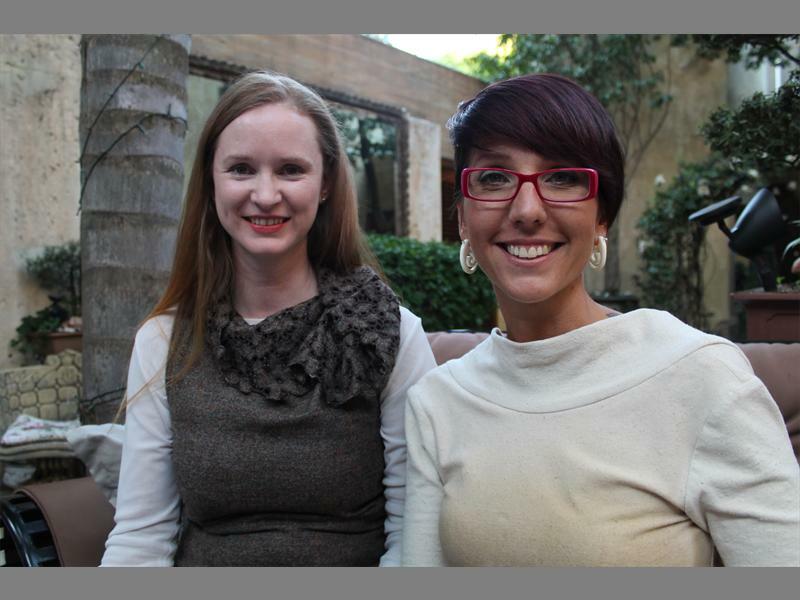 ~ Radio DJ, Catherine Grenfell, on the right, wears a hemp dress designed by Dominique Gartland of Lunar designs. ~ Model, Christina Storm – pregnant and glamorous. 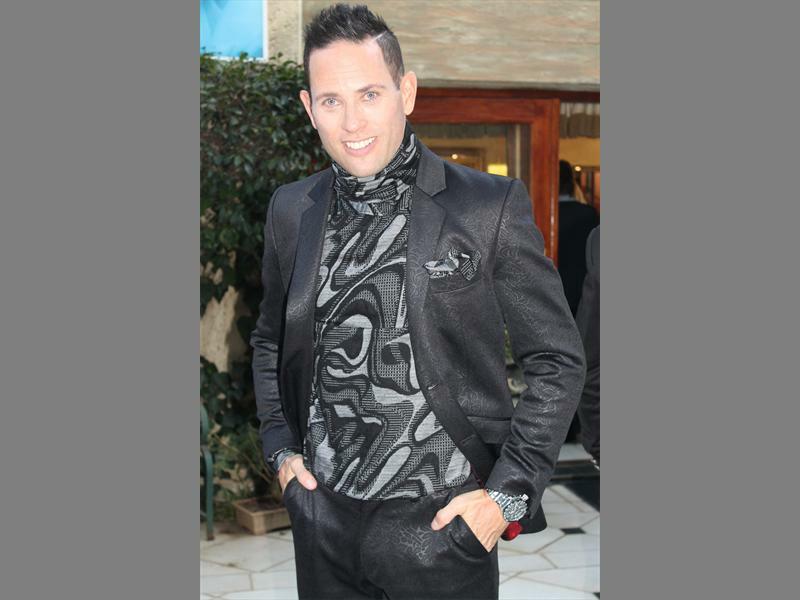 ~ Singer songwriter, Garth Taylor, in an Ephraim Molingoana Design. 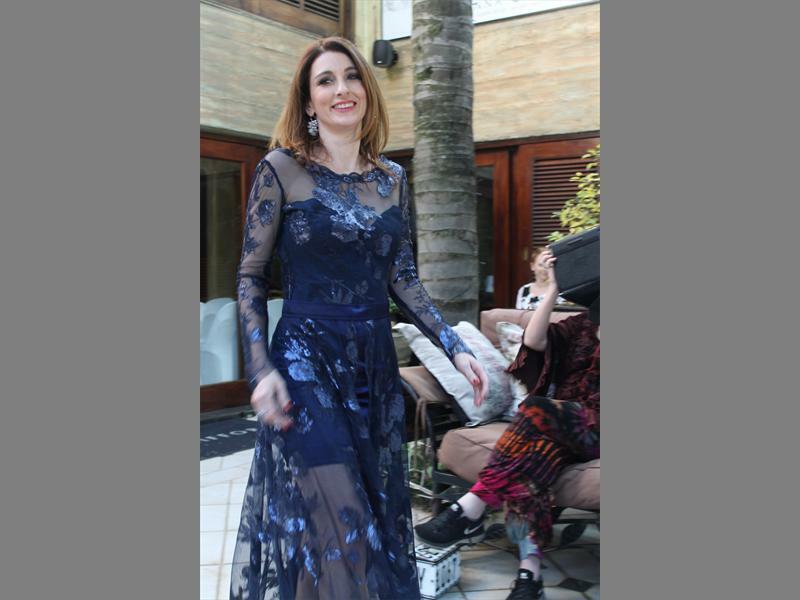 ~ Singer, Louise Carver, wears a Vesselina Pentcheva design. 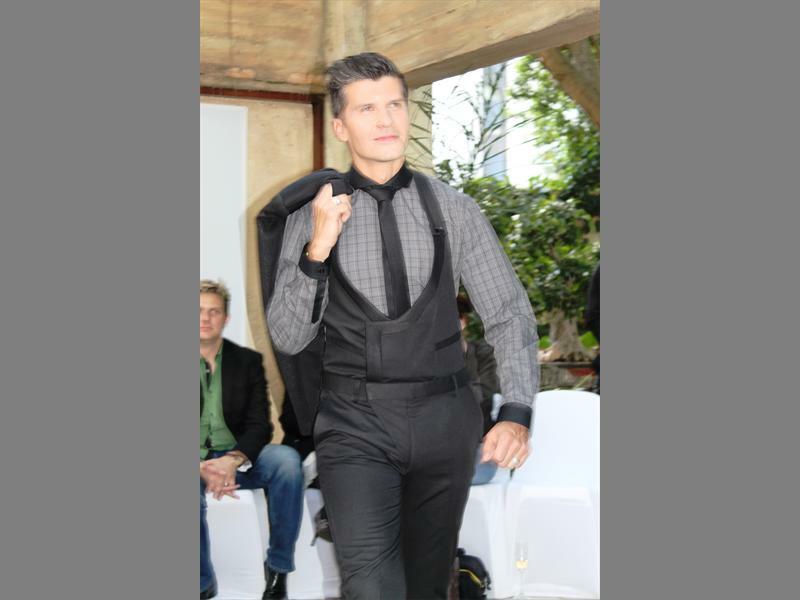 ~ Singer songwriter, Martin Cito Otto, in a modern version of a dungaree garment designed by Augustine Bespoke Clothing. 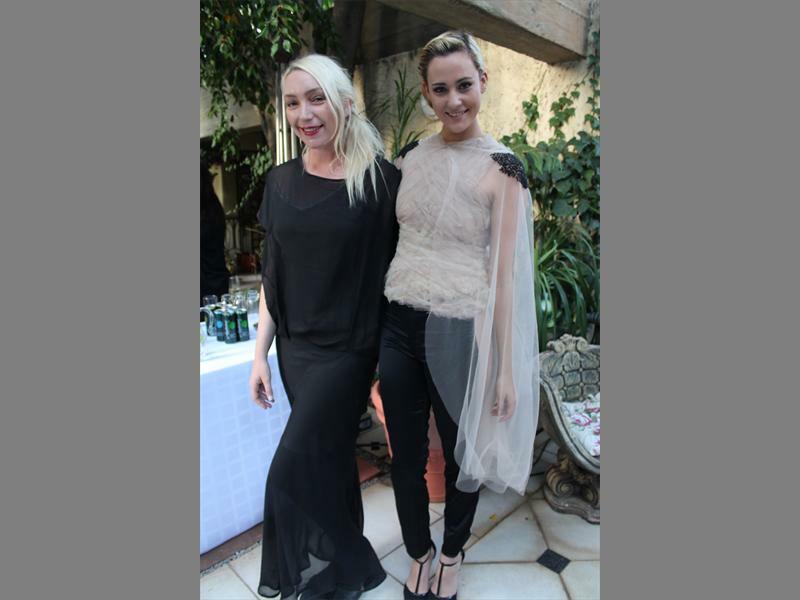 ~ Suzaan Heyns stands with her model/actress Jay Anstey. 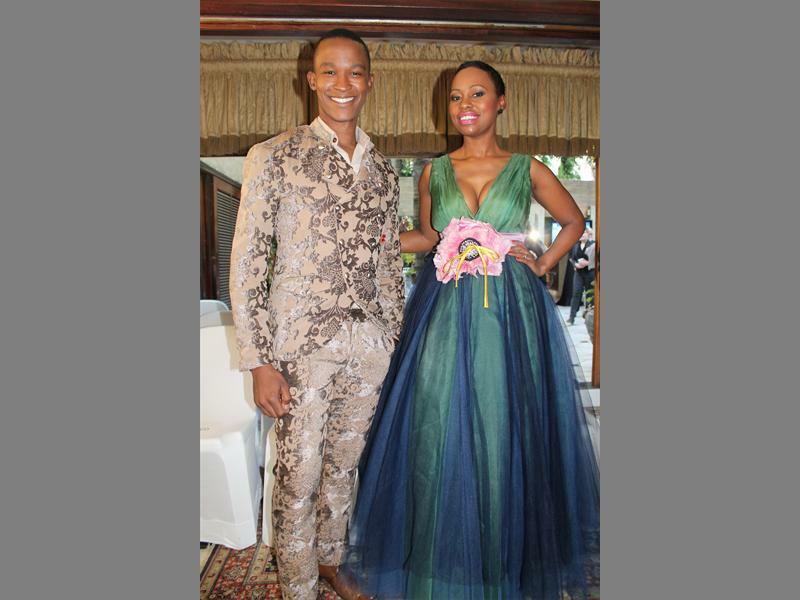 ~ Muscian, Katlego Maboe, and presenter Elana Afrika, show off their designs. Well done everyone ~ we will never give up the fight to end the despicable fur industry. Croatia was initially my choice for this year’s time out from Johannesburg. Behind the magnificent natural beauty of Croatia lies the remnants of the brutal Balkan War. It was in the early 1990s that this war led to the segmentation of Yugoslavia and Croatia obtained independence. More than 20 years later, Croatia has become a popular holiday destination. It was through my communication with a Croatian anti-fur activist that I became aware of the strong animal rights movement in Croatia. Animal Friends Croatia is a nonprofit organisation, which aims to “promote animal rights, animal protection and veganism as an ethical, ecologically acceptable and healthy lifestyle”. Sanctuaries for other animals evoke ambivalent emotions in me. Although these bears have now found security they are a reminder of the ugly side of humanity! 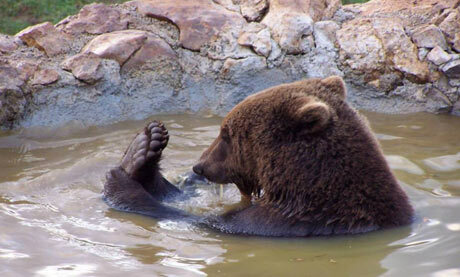 This particular sanctuary was set up over a decade ago for bear cubs who had been orphaned by hunters or exploited for entertainment. Read more on the blog @ https://wordpress.com/read/blog/id/27867134/. As R & R is about a total break, I reconsidered this choice. Also June/July is peak holiday season in Croatia and reasonable accommodation is hard to find. Given the floods that hit Croatia in May 2014 I am relieved that we did not visit Croatia in June. While there was some loss of human life, the loss of nonhuman animal life was huge. This could have been worse if not for the Croatian animal protection organisations uniting in solidarity. In a combined effort they rescued many who could not flee and were abandoned in houses, in barns and so on. Donations enabled their rescue operation. Well done to these organisations who have been relentless in their fight for animal rights. Due to their determination there is now a ban on fur farming in Croatia. On January 1, 2007, the new Animal Protection Act, which bans fur farming (Article 4, Item 2, Sub item 23), came into force. Unfortunately there is a 10-year phase-out period rendering this ban effective only on January 1, 2017. In reaction to this, Animal Friends launched a national campaign called “For Croatia Without Fur”, which aims to end the use of fur in the fashion industry. This campaign is promoted with the “Beautiful Without Fur” billboards displayed in public places. Animal Friends stresses that breeding animals for fur production is considered “unacceptable in a civilised world”. It further claims that “Croatian citizens consider the fur industry a disgrace for Croatia”. It would be naive to think these fur farmers will stop, as they can easily move to neighboring countries and set up farms there. So it remains important to educate that in the 21st century people do not need to rely on the skins or fur of other animals to keep warm. Also to Croatia‘s credit, it became the 28th member state on July 1, 2013 of the European Union. It therefore has to uphold the regulations stipulated by the EU, such as not selling any seal products in the member states. Croatia ~ you definitely are on my list of places to visit in the future.